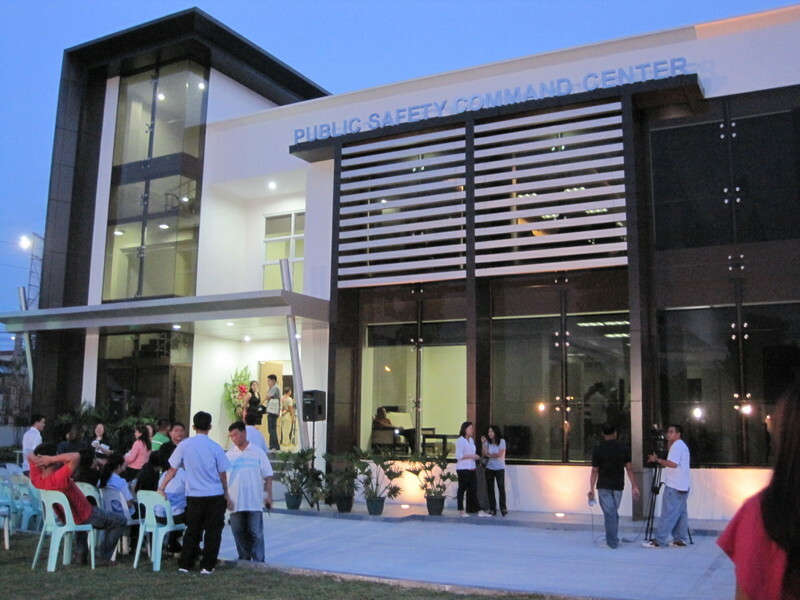 Davao City is under constant watch 24/7 because of its Public Safety Command Center (PSCC). Costing at a hefty sum of P704-million, it is the Philippines' first ever Traffic Monitoring Center equipped with the most advanced and state-of-the-art traffic monitoring facilities patterned after the ones in Los Angeles, California, and is said to be better than the Emergency 911 of the United States. PSCC is the brainchild of the then Mayor now Vice Mayor, the Honorable Rodrigo Duterte who issued Executive Order No. 12 creating the PSCC which is grounded on the provision that "every local government unit exercises the powers necessary and proper for the governance such as the promotion of health and safety, enhancement of prosperity, improvement of morals, the maintenance of peace and order, and the preservation of comfort and convenience of the inhabitants within their respective jurisdictions." 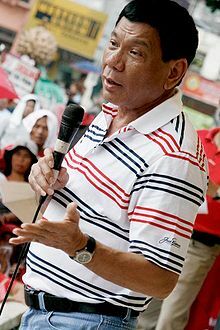 With the increasing number of incidents and disasters and complexities of human activities in the city of Davao, the good Vice Mayor felt the immediate need to bring together the different government agencies to ensure that any and all actions, measures, policies, and programs are worked in a coordinated manner with one another to better address public safety concerns. 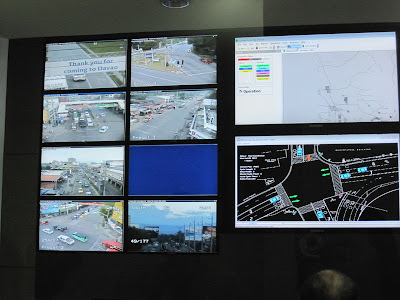 Davao City has 65 intersections and 17 high-tech CCTV cameras were strategically installed in 16 main thoroughfares of the City. 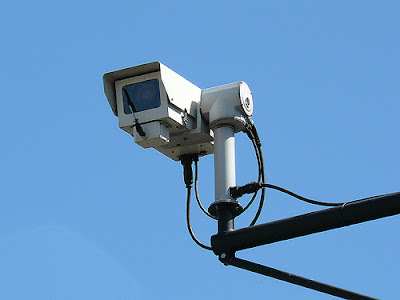 These CCTVs have 35x zoom capabilities which provide clear visuals even in low-light conditions. Davao City Disaster Coordinating Council, Office of the Civil Defense, and Regional Disasters Coordinating Council - On planning and responding during calamities, disasters, and other special events. PSCC is also equipped with a Weather Monitoring and Flood Alert System which consists of an Automated Weather Station (AWS), river level gauge, personal tracker, land and sea tracking devices. These devices immediately communicate all obtained information to the responders and to concerned officials and leaders. Data generated by these devices are transmitted via SMART’s cellular network which are easily accessed by the PSCC. The AWS are calibrated regularly based on World Meteorological Organization (WMO) standards under the guidance of weather specialists from PAGASA. The system was developed by a group of students of the Ateneo de Davao University Engineering and Architecture Division and was funded by the Smart Communications, Inc. (SMART), one of the leading telecommunications carriers in the Philippines. These Ateneo students composed of Charese Olmoguez, Ann Marie Roselle Balinas and Flora May dela Cruz with Engineer Marloue O. Pidor as mentor, developed an upgraded version of the search and rescue management system which placed second during the 2008 SWEEP Innovation Awards organized by SMART. SWEEP or Smart Wireless Engineering Education Program is an educational initiative of telecommunications firm of which ADDU is a partner-school. The weather monitoring and flood alert system is part of city’s disaster preparedness program made possible thorough the collective efforts and partnership of the Davao City government, the Ateneo de Davao University and Smart Communications, Inc. 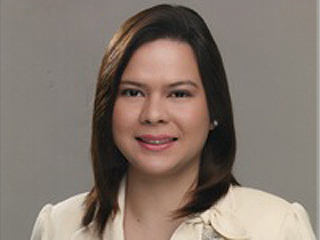 The warning system was launched during the inauguration of the Public Safety Command Center on July 29, 2010 which was attended by Davao City Mayor Sara Duterte-Carpio, the Philippine Atmospheric Geophysical and Astronomical Services Administration (PAGASA) deputy administrator Susan Espinueva, national and local government officials and other officials from the private sector. About 20 of these manual rain gauges were donated by SMART and are deployed in the city’s flood-prone barangays. A point of contact person is designated to each of the barangay to monitor the gauges daily and to ensure that the units are working and safe. The Public Safety Command Center is housed in a beautifully designed two-storey building located beside the old SIR public market near Ecoland where the Central 911 emergency communications center now stands. Command area development:Thanks for sharing this content.